Do you love finding your favorite clothing labels, toys, and gear at a fraction of the price of retail? The Spotted Whale Consignment Sale is where you need to be! Need another reason to shop with us? 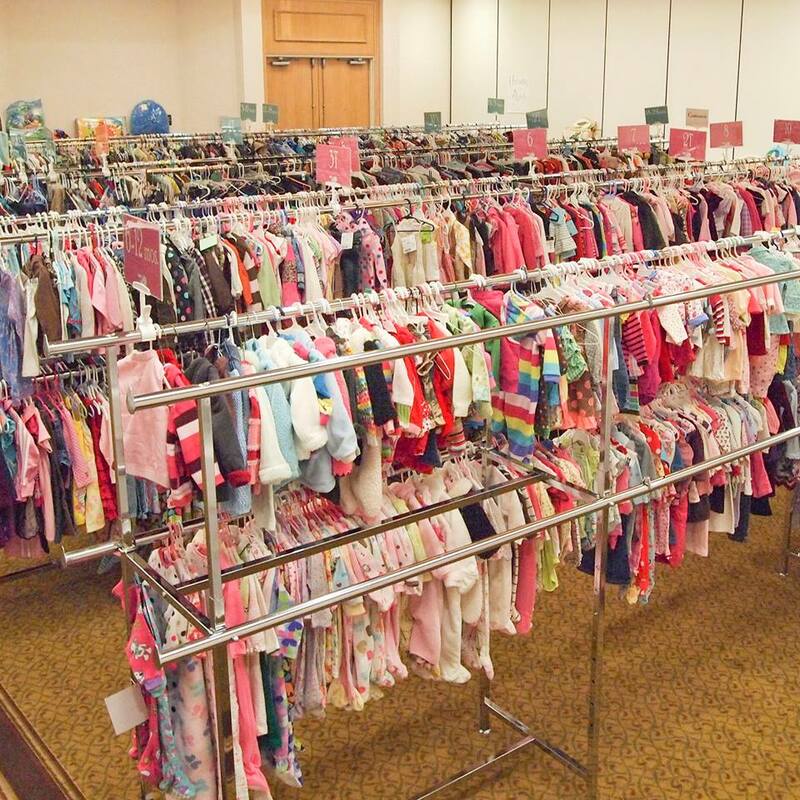 Find brands such as GAP, Carter’s, Hanna Andersson, Gymboree, OshKosh B’gosh, Mini Boden, Tea, Graco, Chicco, B.O.B., and much more. All items are in excellent condition with little wear so that we maintain a standard of quality items for our customers. Organized like a retail store with items sorted by size, gender, and category. In addition to cash, we accept Visa and MasterCard for your convenience (sorry, no checks). On day two of the sale, many items are marked at half price. Make sure you arrive early to get the best deals! We are Anicia & Tyler. Where do you live in SLO? 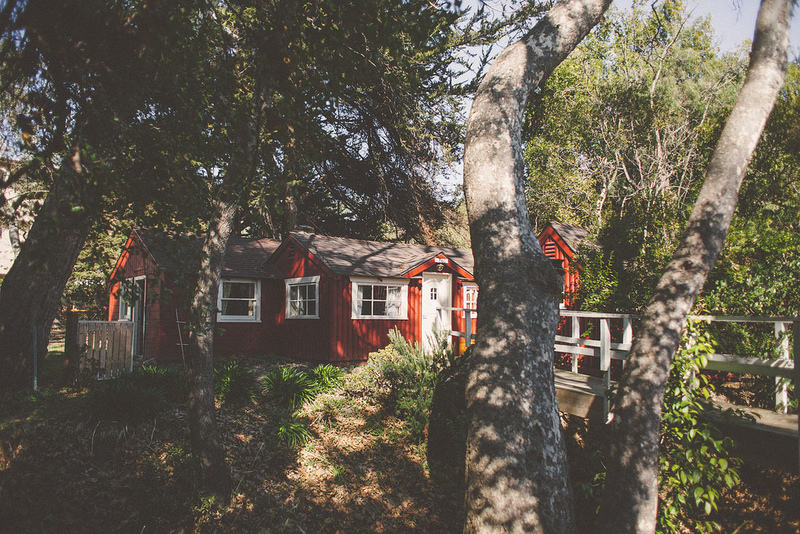 Tyler lives in a little mystical hobbit house near the SLO airport. Anicia and her husband live in a bungalow overlooking the city. Are you originally from SLO? How have you seen SLO grow? Tyler- I came to SLO about 12 years ago for school and have left a couple times, but it keeps drawing me back. Anicia- I’ve lived in SLO for 19 years. My mom and I moved here after living in New Jersey for a bit. SLO has grown so much since I’ve been here. I remember when Vons was where that car dealership is on Broad…. it wa sa lone grocery store in a massive parking lot…and all of the costco/target are used to be just beautiful fields! Kind of sad for me. But growth happens eventually, usually. What do you love most about SLO? Tyler- My community of people I have around me, they bring creativity and purpose to life. Anicia- I love the hills, the small town feel of downtown, and the creative people that live here. How is SLO different from any other place? Tyler- It’s in the air, once you are here, you just know, there aren’t a lot of places like slo. Anicia- Yeah, it truly is just a unique little valley. I feel like the combination of the sea and hills and mountains just makes this vortex of unique. How/Why did you start creating? Tyler- I started creating because I needed an outlet, I love using old thrown out materials, and just started that way, piecing things together. Anicia- I was little and loved to color, paint, and what not… I used to use those little safety scissors and glue stuff together. Eventually I began to use my moms super old singer to make simple things like pillows and aprons… it evolved over time and now I cannot NOT be making something or working on some project, whether it is paper, fabric, paint… whatever! How did the name of your shop come about? Traditionally, a hermitage refers to a place of seclusion, either alone or with community, in which one can take a step away from the world and draw on the innermost part of their soul. 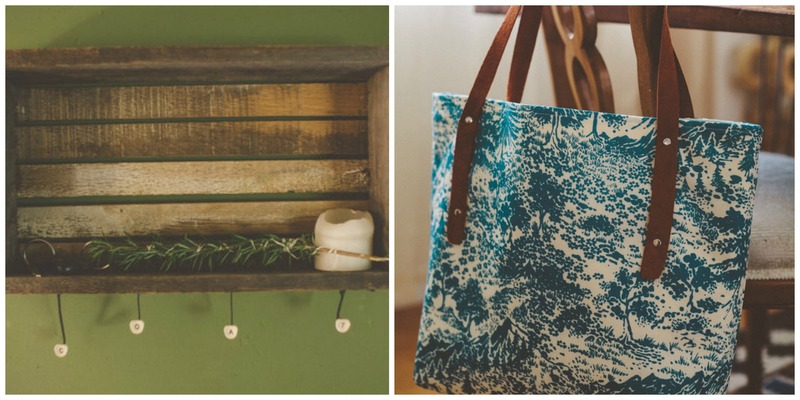 We create complete handmade goods, loving to use old, salvaged, or thrown away items to repurpose and recreate. It comes in different forms from building to sewing. Tyler- It’s the house, the backyard, the shed, and the shop. I work anywhere I can get the space to do what I need to. Anicia- My work space is a wild scene. Its a 2nd bedroom in our home. It’s fairly clean but there are many photos hung up, drawings and paintings from friends, photos or articles rippled from magazines and taped to the wall, etc…I like to have an eclectic vibe going on — so that everywhere I look I get inspired. Tyler- Through seeing old items, I can see the restoration taking process, so many times, I see something and just space out for a bit and it comes to me. Do you listen to music while you work? What is happening in the background while you work? Take us behind the scenes! Tyler- I love to smoke my tobacco pipe. Definitely not the TV (I don’t own one.). Anicia- When working on my own items (I work part time sewing for another local business in town) I like to listen to music or listen to one of the many podcasts I subscribe to. What lessons have you learned from having your own small business? It’s just the beginning, so we are figuring it out as we go. I think the lesson would be, in having a business partner, honesty is best. We know that Homespun Hermitage is bound for greatness and we feel really lucky that we get to watch it from the beginning. Follow their adventure by visiting their shop often! We can’t wait to see what they will create next. 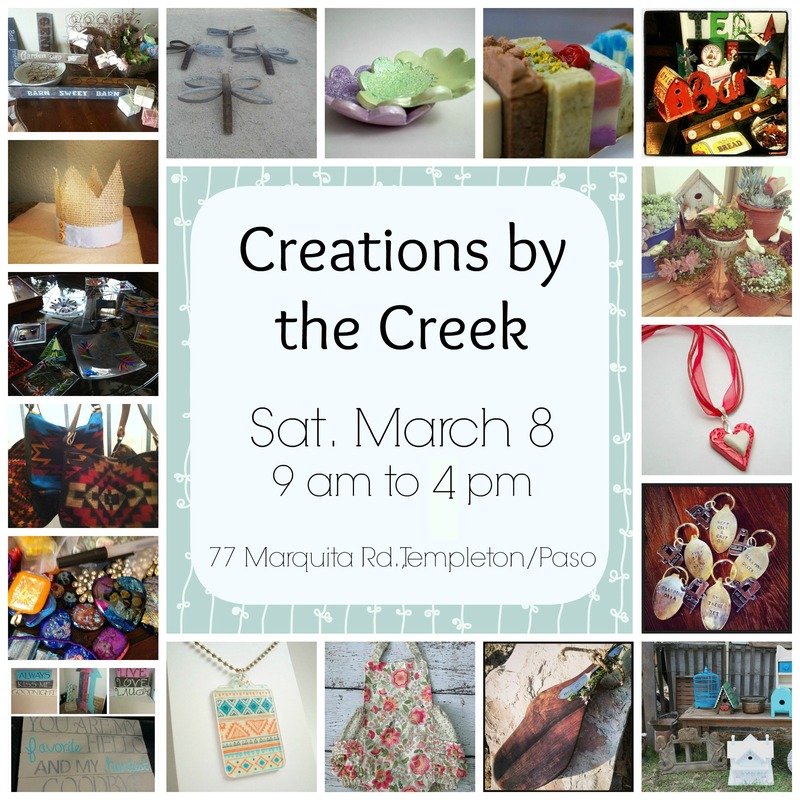 Shop this local event featuring hand made and re purposed goods! There will also be food. Such a great mix of local artists and sellers. Making friends in a new town, when you’re 30 something, is kind of difficult. Luckily, I have met some pretty rockin’ people that have made that easier. The most rockin’ of them has been Amber Long of This Little Bird! She is as nice as she is talented, which is pretty huge. We share the same passion for all things local and we’re looking forward to working together in creating more opportunities for the local maker community! Not only does Amber create and run her beautiful business, This Little Bird, but she is a full-time graduate student at Cal Poly, has another job, is married, and has fur children! How does she do it all? I have no idea. Oh yeah, and she’s captain of the Central Coast Etsy Team and a leader in the SLO County Sellers Team. I’m exhausted just listing it all, imagine living it! Truly awesome. Where do you live in SLO, how long? I currently live in Santa Maria. We’ve been here 5 years. Before that I lived in SLO and Shell Beach for 8 years, bringing my grand total to 13 years! I love the variety we have to offer here, from landscapes, to paces of lifestyle. We have a unique mix of fast pace and SLO pace here. You can shop at a big box store or a farm stand. You can live on a ranch or in an urban loft downtown. You can hike or surf, go to an open mic night or the symphony. What is the name of your shop? How did you come up with the name? My shop is This Little Bird. This same graphic designer friend and I chatted on Google Chat for days on end trying to come up with something. I happen to like bird décor (although I’m pretty picky about it) and so I know it would center on “bird”. But it really only came about by tossing things back and forth with someone I trusted. I am the bird in This Little Bird so to me, it means “there is a piece of me in everything I make”. In my Etsy shop I sew zippered pouches, bags, aprons and seasonal home décor items. Outside of Etsy I also paint, refinish furniture, crochet, do hoop art, and try my hand at quilting. And some crafts do find their way to the living room and dining room. They have legs of their own! How/why did you start crafting/creating? Well I originally learned a lot of crafts as a child from my grandmother. I’d spend a week with her each summer just learning. Sewing, painting, cooking, needle point, reading. We did it all. Fast forward many years to the recent past and I was sitting around with a sewing machine and a graphic designer friend who kept sending me links to this Pinterest thing (it was still the early days of Pinterest) and I was so inspired by what I was seeing. I was pinning all kinds of crafts! 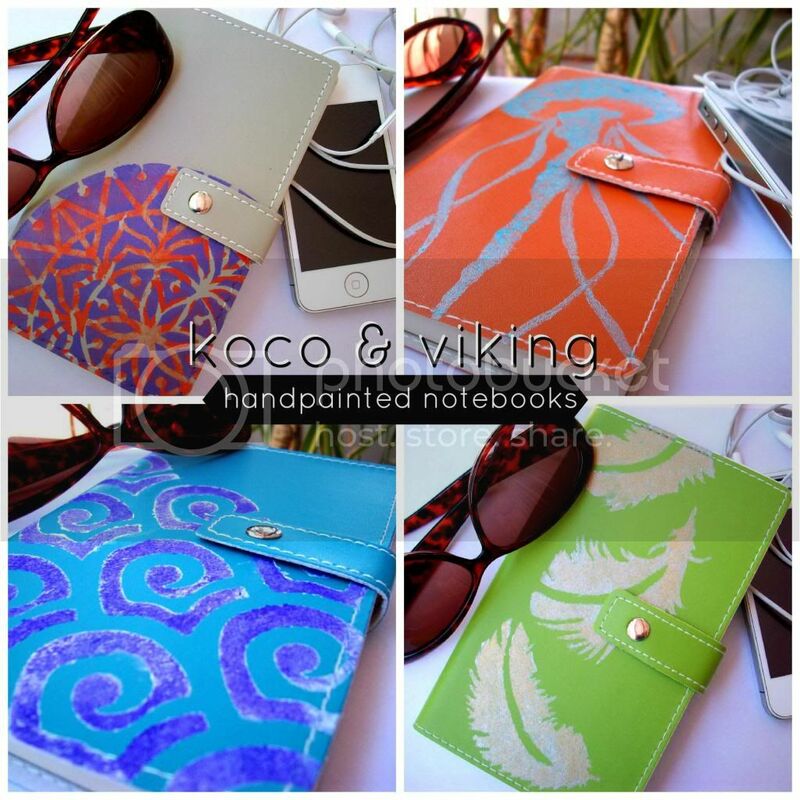 I was also an avid Etsy shopper so an idea came to me that if I made nice enough things maybe I could sell them! That was how, but the why is a different story. I suffer from anxiety and I was told many times to find something to do with my hands. The entire process of sewing, from picking fabrics, to the finished product is a time of meditation and inspiration for me that keeps me grounded. Wow, that time and those memories with your grandmother are definitely reflected in your well-sewn pieces. That love and meditation seem to be a winning combination. A lot of times I get color and style inspiration from Pinterest and the people I follow on Instagram. I love color and love seeing how others put together color. We go to San Francisco a few times a year and I’m always impressed by the store displays and urban art I see, so I take inspiration there too. I’m visual so nature and other people’s art are my main craft inspirations. I’m also inspired by people who are living a balanced and honest life. The more balanced life is the easier it is to be inspired by the simple or mundane. Additionally, crafting in a certain sense has a very long tradition and I want to be part of that tradition and carry it on. That’s why I learned to crochet. It’s something our grandmothers and great grandmothers did. Now I do it to but in modern colors and styles. If any, what do you struggle with or still have yet to master by having your own business? I still have SO much to learn. I have things to learn as a maker, as a business owner, as an accountant, delivery person, and prototype maker. Currently my greatest struggle is finding enough time to invest since I’m in grad school and work part time. Working backwards, in 10 years I want to have my business providing me with 1/3 of my income. In 5 years, with grad school out of the way I hope to have a schedule where I don’t work 40 hours at the day job and can commit regular hours to my business. In 1 year I want to be fully invested in my local creative community. I’ll also almost be done with grad school. I am so glad that we finally were able to do this! Thank you for taking the time to share with all of us. I hope that all of you have enjoyed learning about Amber of This Little Bird! She’s offering our readers 10% through the end of this month with code SLOLife! Make sure to grab yourself something wonderful at her Etsy shop. As an artisan and new resident to the area, I’m always looking for ways to get involved in the artist community of SLO. When I look into organizations, venues, and the like – there is always a business I see, Back Bay Pottery. Having seen this business all over, I looked into who they were and I was blown away. Christine Silbaugh aka Back Bay Pottery is absolutely incredible in talent and community involvement. She instantly became someone I wanted to meet. Christine is one of the Captains of our SLO County Sellers Etsy Team and I’m so happy that I finally met her, in person, a month ago. Of course I wanted to do a Made in SLO feature on her and now I had my chance! So, I hope that all of you enjoy this as much as I have. Christine is so sweet and supportive and it shines through her interview. Where in SLO is home and for how long? I live in Los Osos and have grown up here. I was born in General Hospital in SLO and have lived in SLO, Cayucos, Morro Bay but mostly in Los Osos. I have always loved it here and have never wanted to move away. I have visited many places around the country but nothing feels like home like SLO does. Its different from any other place I have seen. There are so many things to do here…we have the best of everything from nature to shopping! My family and I love to visit the tide pools at spooners cove and hike along the trails at Montaña De Oro. It’s one of the first things we do when friends or family visits from out of town. I also love all the farmers markets! I feel like SLO is very family oriented and a happy place to live. We have such a great population of people that are very supportive of our large artist community. Like Bello Mundo Cafe in SLO (by the courthouse). I have had my work in there for a couple of years now and they keep on asking for more. They love supporting local artists. I have always been a maker and was raised by artists and crafters. I grew up painting and drawing and sculpting things from polymer clay. When I started making ceramics (about 4 years ago) it fit so perfectly. It is such a versatile medium that I am able to use all of my artistic skills. I create one of a kind pottery for the home, office and garden. My style is organic yet vibrant and full of color. I have so many ideas of things to make that I just don’t have enough time in the day to make it all. But I keep a list of things to make. It’s a long list! Your pieces are so gorgeous. Where do you get your inspiration? I get my inspiration from so many places! Of course the beautiful area we live in like the birds, beaches, flowers and my husbands succulent garden. I love to look at textures and patterns that can be found everywhere like the amazing architecture of old buildings, the vintage bamboo textured wall paper in my dining room, and the intricate carvings of my antique wooden batik blocks from india. I also look at the trending styles and colors found on Pinterest, Etsy of course and stores like Anthropology and Pottery Barn. I use to have a crazy mess in the living room (that was my office) but now I have taken over the garage…well not completely. My husband has the other half but I keep on inching my way over. We have a detached four car garage behind our house so it makes a perfect studio/workshop. I change things all the time because my business and life keeps changing. I have remolded my studio at least 6 times in the last three years. I do spend an awful lot of time in my studio so I have to make it pleasant to work and move around in. I love decorating it with art from other artist! Especially local and Etsy artists! We love your workshop! Visiting your workshop to have our team meeting was awesome. I loved seeing all of the art on the walls and creativity just seemed to buzz in there! You are so involved in the local maker community! Can you share some more of that with us? Our local maker community is great and I definitely believe in buying local like at our farmers markets and art/craft fairs. I am a member of Arts Obispo and like to participate in Art After Dark, the first friday of every month form 6-9pm, where local artists feature their work at shops, cafes, and galleries in downtown SLO. I am also one of the leaders on the local etsy team SLO County Sellers. We are a great group of people who sell their work, antiques or supplies on Etsy. Being a small business owner and selling your work can be hard and overwhelming, not to mention scary. We reach out and offer free help and support to anyone who is currently selling on Etsy or wants to in the future. Our team supports and encourages one another by sharing our tips and tricks and our stories of why we do what we do. We try to meet up once a month and are working on creating some workshops. I really think anyone can make a business that will work for them. I have learned to many lessons to list. One of my biggest ones is valuing my work and working slower. I am not a factory and I make everything myself so I need to enjoy the process. I have the ability to work fast and to make a lot of things at a time but it just isn’t enjoyable and my quality goes down. I let my true inner artist come out when I take my time and pay attention to every detail. What do you struggle with or still have yet to master by having your own business? I have always struggled with taking on to much. I usually don’t realize that I took on to much work until its to late and I start to burn out. I have learned that a work life balance is a must and it’s something I think I will always struggle with. I have to be strict with myself and make rules like no working on the weekends but even if my orders are late it’s worth it. When it comes down to it my family needs to come first. I really want to be an artist and not so much in production so I want to keep my business at a manageable size yet still continue to support my family. My work will always change and I think that works for me. I love to try new techniques and colors. Thank you so much for taking time for us, Christine! We look forward to what you have up that talented sleeve. Make sure to visit Back Bay Pottery! Reel Big Fish! Oh my goodness. Yes, you heard that right, RBF! 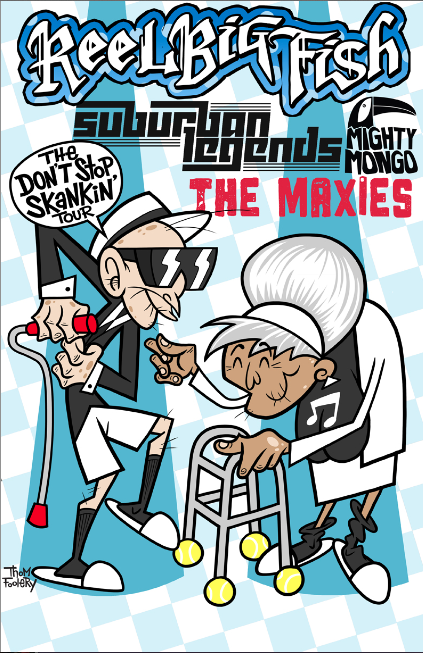 They’re still around and, apparently, “Still Skankin'”. Didn’t catch ’em on the Vans Warped Tour? Fret not my pet. Head out to SLO Brew this Sunday, one of the rare times I will tell you to. Tickets are 20 bucks but the time you’ll have will be priceless. Show starts at 7 pm. It is that time of year. 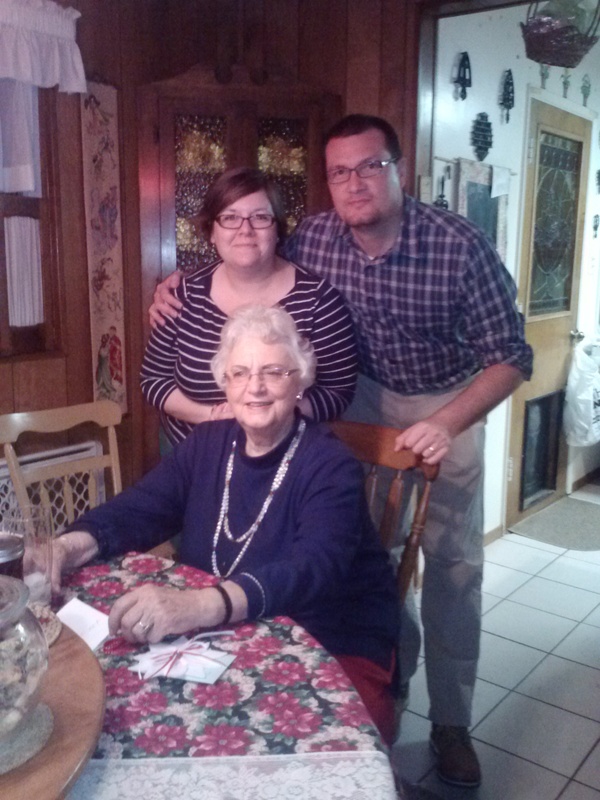 Nope, not the family-, love-, and turkey-filled time of year we all grew up knowing (at least Gen Y and older). The time of year that every sane person becomes a ravenous a*shole that could care less about their fellow man. You know who you are. You’re ticking off 10% of your holiday gift list and the rest is all for you. No matter how many nickels you drop in that red bucket, you’re still a jerk. We all become the same come that Friday Thanksgiving shopping day. Thanksgiving. When you hear that word, what does it conjure up for you? For many of those lucky enough to have a job, that word means not spending it with family but being flung into the madness that is Black Friday shopping. Why do we think it’s okay to take these people away from their families? Greed. No matter the rationalization, it is greed. 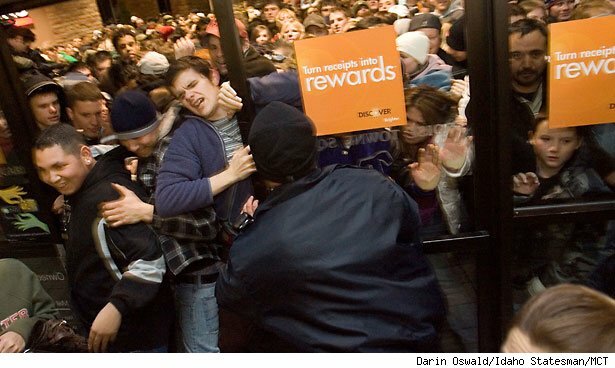 I used to be a Black Friday shopper myself. One of the best, at the time. I took part in the festivities when they started Mid-Friday, following Thanksgiving, after I’ve had my 3rd turkey and stuffing sandwich. All of the shopping I did was for myself as I would have all of my Christmas shopping done by Halloween. Wow, if only I could still be that efficient. When it started creeping earlier and earlier, I wasn’t interested in cutting into family time. Especially when I would get, literally, run over. Being 5 feet at Black Friday (when the madness started coming out of folks) was a bit too short. Shocking, right?! Ha ha. I know, not so much. A few years ago the husband and I started going back to maximize the money we raised to give a needy family the Christmas they couldn’t afford. As we froze our butts off in line, 5 hours before the store opened, we chatted it up with our line neighbors. We were all so close; holding spots for potty breaks, sending spouses on hot cocoa runs, and planning team efforts to get the big ticket items. Once the doors opened and we were within 8 feet of the magic, all bets were off. No longer were those people friends and they pushed and shoved us right out of their way. Luckily, we weren’t there for electronics or toys and found ourselves in a quiet parts of the store without a sign of crazy. This Black Friday we will not be participating in the madness. My husband will be working Thanksgiving day and through the weekend. I will be driving to Los Angeles to sell my art in a Small Business focused event that draws the Non-Black Fridayers out to shop local and purchase hand crafted items. As a small business owner I encourage you to shop small businesses, of course, but what I really want you to do is spend time with your family and avoid the big stores. We all think that they won’t change their ways if I am the only one who chooses not to support their decisions. The thing is, like all things, if we all did what we thought was right- well- we could definitely make a difference. Just give it a thought, that’s all I ask.